Launched by Sim Ann, Singapore’s senior minister of state for trade and industry, and culture, community and youth last Friday at the inaugural Food Innovation Product Award Ceremony, the food manufacturing Industry Transformation Map (ITM) is led by SPRING Singapore (SPRING) and supported by various government agencies and associations. It is also one of the 23 ITMs to transform Singapore’s key industries, and the fifth to be rolled out. The ITM strives to catalyse a compound annual growth rate of 4.5% in productivity and create about 2,000 new Professionals, Managers, Executives and Technicians (PMET) jobs for the food manufacturing industry, from now till 2020. Playing a significant role in Singapore’s economy, the food manufacturing sector has more than half of its output exported to countries such as Japan and China. In 2015, the industry contributed S$3.7 billion to Singapore’s GDP and employed about 40,000 workers. “Singapore’s food manufacturing industry is performing well. 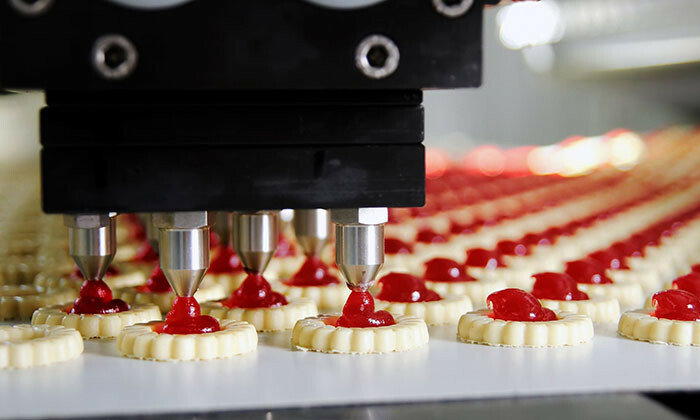 To continue thriving in today’s world of myriad options, our food manufacturers need to find new ways to differentiate themselves from the competition. Leveraging Singapore’s strong reputation for high quality, we could develop new products or product extensions based on lifestyle and health trends, so as to better compete in the global arena”, said Kee Ai Nah, group director (industry & enterprise), SPRING Singapore. A Food Innovation Cluster (FIC) will be set up as to foster closer collaborations and sharing of resources. The FIC encourages development and commercialisation of new products and the establishment of shared R&D and production facilities. To further encourage innovation, the Singapore Food Manufacturers’ Association (SFMA) also conducts design thinking and product development workshops under the Local Enterprise and Association Development (LEAD) Programme. Additionally, Kerry Ingredients Singapore is also profoundly encouraged by the establishment of the (ITM). In fact, it has established its regional Technology & Innovation Centre for Taste & Nutrition in Singapore, as explicit proof to its global commitment to the future of the food, beverage and pharmaceutical industries in Asia. “This dynamic nation is a versatile place where macro and micro business models alike can achieve growth through partnership and development with top talent and resources. In particular, we believe that initiatives such as the Food Innovation Cluster (FIC) will create a supportive, sustainable structure to accelerate the development of science and innovation in the food space,” commented Joshua Thio, commercial and graduate recruitment manager (APAC) at Kerry Ingredients Singapore. To compete on a global scale, it is important for local food companies to establish presence in key markets. This could be in the form of owning manufacturing facilities, distribution networks, or outsourcing last mile manufacturing to a foreign Original Equipment Manufacturer (OEM) partner. For example, IE Singapore has successfully helped local enterprises to internationalise through various avenues. In fact, it worked closely with SFMA last year to launch an online Singapore shop, Tasty Singapore, on Alibaba’s Tmall and JD.com where more than 130 of Singapore’s food products have been listed on Tmall since its launch in July 2015. The ITM also aims improve productivity by helping companies quicken the pace of technology adoption. There are existing schemes that companies can tap on, such as the Automation Support Package (ASP), which supports the large-scale deployment of automation and robotics solutions across existing operations, as well as the redesigning of workflows and processes. Enhancing the current workforce continues to be a key factor of the ITM. SPRING, SkillsFuture Singapore and Workforce Singapore, will be in close consultation with the industry and stakeholders, to co-develop a Skills Framework as a common reference of current and emerging skills required for individuals, employers, and education and training providers for the food manufacturing industry. The framework is expected to be completed by end of 2017. HR to manage artificial talent "within 5 years"